Rochester Institute of Technology and GROW Rochester have teamed up on a citywide project to help increase the number of 3-year-olds in the city receiving timely and necessary health and preventive services. Early screening to assess health issues and providing suitable interventions could increase the likelihood of children being well-prepared for, and doing well, in school. 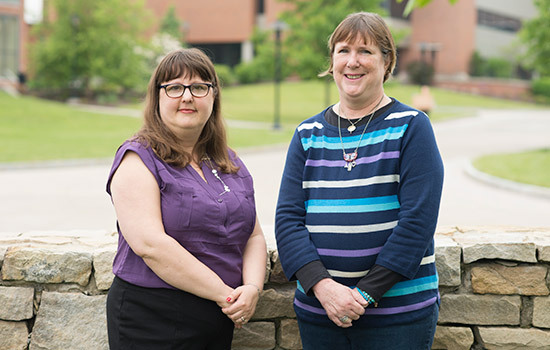 The Center for Quality and Applied Statistics is part of RIT’s Kate Gleason College of Engineering, and it was approached for its expertise in continuous improvement and Lean Six Sigma methodology. CQAS will facilitate data collection and evaluation toward improving outreach and overall process effectiveness. CQAS will audit current work processes to identify or clarify critical challenges by working with key stakeholders through interviews and focus groups. Emphasis will be on issues uncovered during the pilot year and the logistics of implementing recommendations. The team will also monitor the execution of process improvements to insure effective implementation and to identify additional adjustments. GROW Rochester is an initiative led by the Children’s Institute, a Rochester nonprofit that seeks to support service providers to strengthen social, emotional and physical health for children and families. The initiative, originally launched in July 2015, set a goal of screening all 3-year-old children in Rochester to address potential health and developmental concerns prior to enrolling in school. It is part of ROC the Future’s collaborations with 50 community agencies to support children from “cradle to career.” Over the next three years, screening could impact nearly 2,400 children and provide important health and prevention information for parents, teachers and physicians. Funding for the project is through a grant from the Greater Rochester Health Foundation.